One intriguing ghost story from Georgia involves the Western & Atlantic Railroad trains that traveled through the Allatoona Pass during the years after the Civil War ended. Stories about sightings of a ghostly brakeman started to be reported 7 years after the war. This mysterious figure was always spotted sitting atop these steam-powered trains whether they traveled northbound or southbound just as they reached the Deep Cut at Allatoona. One newspaper article published in the Atlantic Journal covered this story extensively in 1872. In other words these railroad employees were seeing a ghost. It seems this specter appeared on a regular basis. The witnesses that reported seeing this ghostly brakeman where not men to be faint of heart. All had served as soldiers in the Civil War and they were used to seeing the horrors of battle. So the sight of this ghost did not unnerve them. In fact, they were so unconcerned several tried to even collect a “fare” from this stowaway. Curiosity over the identity of this ghost led one engineer to seek an answer. When I spotted the ghost on top of the 3rd car from my engine I left my fireman in charge of the train and proceeded to walk toward this strange figure. I approached him cautiously keeping my eyes on him but as I neared him he just faded from my view. Continuing down the line of cars I turned back and saw him sitting on the 3rd car again. As I made my way back he disappeared once more. Feeling completely bewildered I became determined to discover what was going on. I searched the entire train but found nothing. I went atop one car to return to my engine when I spotted the strange figure sitting in the exact spot where I had originally seen him. As I walked toward him again he vanished. At this point I felt he was playing some sort of game with me. 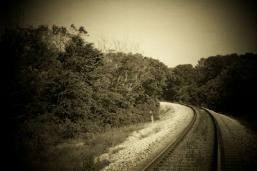 This ghost continued to be seen atop trains in the Deep Cut for many years. There are several published stories about these sightings. Newspapers across the South covered this story--this caused widespread speculation as to who this ghost was. One common theory put forth states he most likely was a Civil War soldier who died in the Battle of Allatoona Pass. Most believe he must have been a brakeman before the war started. The following account backs these speculations. In October of 1934 an article published in the Atlantic Journal Magazine tells about another encounter with this ghost. E.L. “Polly” Milan worked for the W&A Railroad for 73 years; by the end of his career he was an engineer. 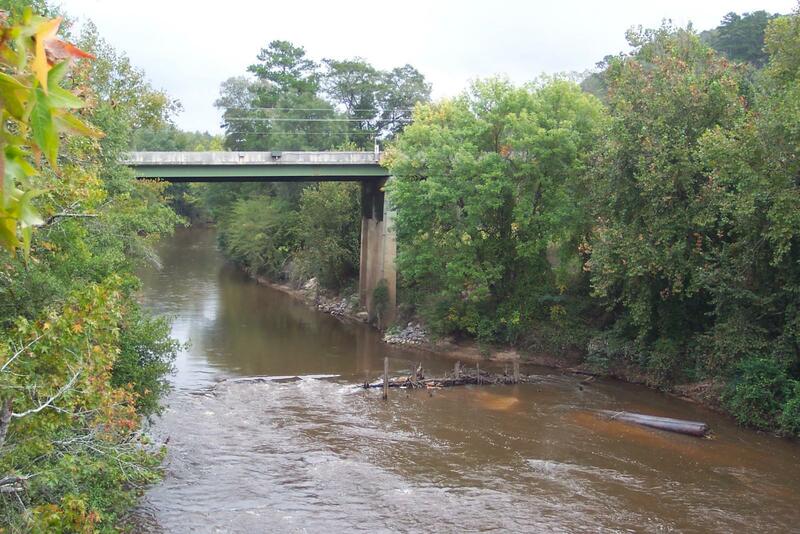 At the age of 19 he saw the ghost of Allatoona Pass. At the time he was a brakeman, which historically was a very dangerous job. Air brakes where not in use yet and Milan’s job was to help stop the train. He would move in between each car and manually apply or turn the brakes. He also was responsible for ensuring all couplings--that attach each car to another--were connected properly. His job required courage. He often found himself hanging between cars precariously as the train he was on thundered down a mountainside. At midnight, during one trip the train he was on had just dipped into Allatoona. It was discovered two cars had separated. Milan was ordered to go back and flag or warn the train that was following. Holding a pistol and a lantern he hit the ground and ran back up the hill. He stopped in the middle of the cut, which was 60 feet deep and 400 feet long. He spotted a tombstone of a soldier at the north end of this dark cavern. He stopped before he reached this grave. He watched as his train was able to couple up and move on. After it had faded into the distance he was startled to see a man who was glowing white. This man then approached him. But when he got within a few yards he slumped down and sat on the ties. Milan was not sure what to do as he watched this strange figure. He spoke to him but did not get a reply. Feeling very alone, his teeth clattered together loudly. He recounts “something seemed to shove him toward the figure.” He reached out and touched it with the back of his pistol hand. What happened next Milan stated he wasn't able to forget. He felt an odd cold sensation shoot up his arm. After this all he remembers is tearing wildly down the track. He had run over a mile and a half when the train he was supposed to flag overtook him. at Allatoona Pass shortly after Civil War battle. This palace located in Stockholm, the capital of Sweden has been used as the royal residence since the 18th century. It is one of the largest palaces in the world. It has 1430 rooms, 660 of them have windows. It is known to be haunted. Its two most famous ghosts are a White Lady known as vita fran and a Grey Man known as gra mannen. The White Lady is said to appear just before someone dies in the royal family. She therefore is a classic harbinger. She was first made famous when old King Oscar ll wrote about her in his memoir. She is seen dressed in a white dress and a long white veil covers her dark hair. She wears dark gloves and carries a chain of keys in her hand. As she walks through the palace these keys are heard clanking together. Many Swedish royals and staff have seen her through the years. Another ghost seen at the palace is known as the Grey Man. It is said he has appeared before every reigning King at least once during their lifetime. He is believed to be the ghost of Birger Jari. 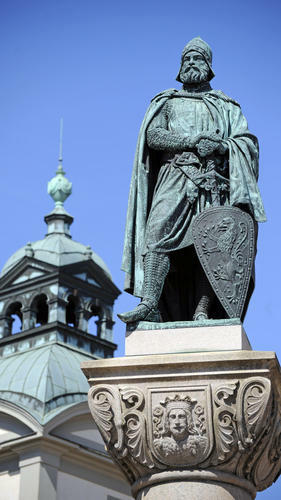 Jari was the founder of Stockholm. He built a fortress with a core tower in the 13th century. This site evolved into the royal palace that was completed in the 1830s. 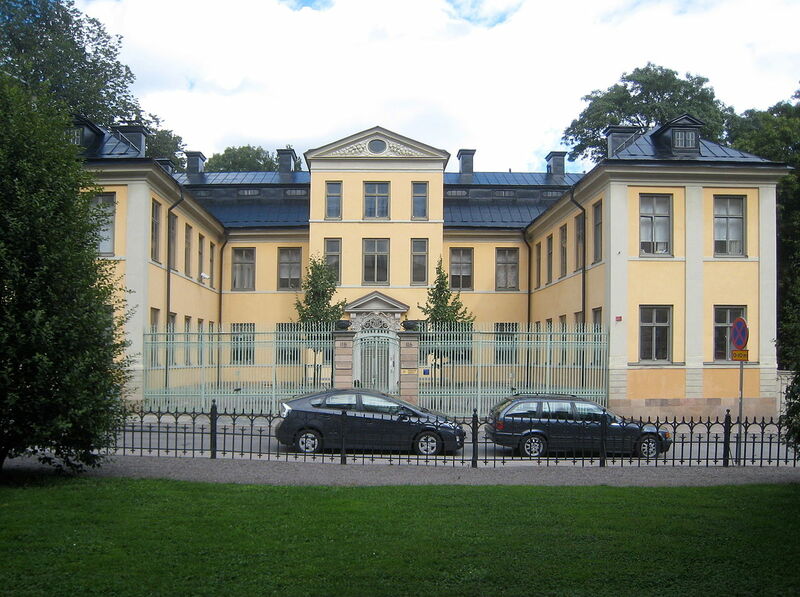 The Palace of Scheffler is considered to be the most “haunted house” or Spokslottet-- in Stockholm. For this reason people often refer to this palace as simply the Haunted Mansion. 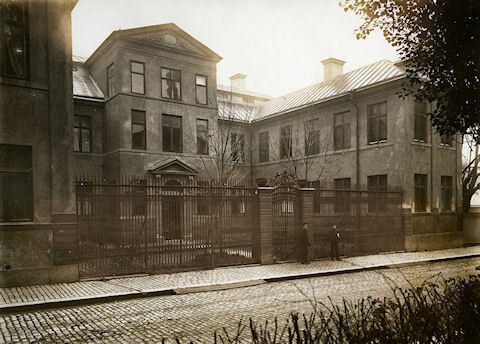 Since the 1920s this palace has been owned by Stockholm University. It is used mostly today just for storage and occasionally for conferences. A merchant, Hans Petter Scheffler built this mansion in 1690. 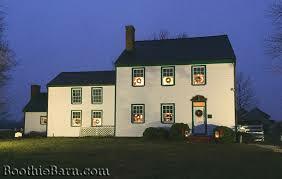 Ghost stories about this home have circulated since the 18th century. Witnesses have reported strange singing and music coming from this building when it was unoccupied. Mirrors and windows in the mansion have broken simultaneously without a known cause. One story points to a former owner of this palace as the cause for this strange activity. Jacob von Bathazar Knigge was said to be a devil worshipper. He mysteriously disappeared in 1796. At the time, witnesses stated that he was taken away in a black carriage with a coachman who had horns and a tail. Another possible cause for this activity involves several deaths connected to the mansion. Gustaf Sandstrom an opera singer once rented a room in the palace. He committed suicide in his room in 1879. A young married couple were murdered in the mansion and then bricked-up behind a wall in the basement. In the mansion’s garden a grave was discovered in 1907. These remains were removed to a cemetery. It is believed more people are buried in this garden. One legend connected to the palace is about a priest who was brought in to rid the home of this unwanted activity. In one version of the story this priest fled the home in fear before he finished the job. In another version it is said an angry spirit tossed him out of an upper window. There was no one in the building but him at the time. Some believe all this unwanted activity is the reason why the university uses this lovely old palace for storage most of the time. The Stockholm Metro is also said to be haunted. A ghost train known as the Silverplein is seen. My post about this haunting is here. 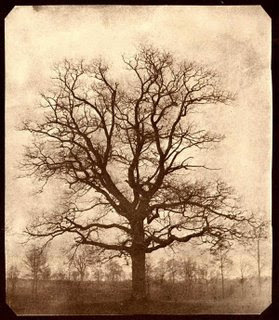 Residents that live around the old settlement town of Ripley, Oklahoma on windy nights state they hear some chilling sounds coming from a large old oak tree. Ripley is near the city of Cushing in Payne County. This county was opened to settlement in the Oklahoma land run in April of 1889. This oak tree was an ideal place to hang people. The hollow this tree still stands in is considered haunted and cursed. The area was dubbed Ghost Hollow for this reason. In the late 1800s Payne County was still an untamed lawless land. The only justice was imposed at the end of a rope or from the barrel of a colt pistol or Winchester rifle. In 1899, three horse thieves were left hanging from the limb of this oak tree in the hollow. This was not the first time this tree had been used for this purpose. The following tales are often told around a campfire. One legend states that a young Indian girl, in spite of her father’s wishes, ran away to marry a white man. The father found them and shot the young man. But his bullet hit his daughter instead, killing her. It is said in his grief and despair he placed a curse on Ghost Hollow where he found the two lovers. His daughter was 17-years old at the time of her death. It is said every 17 years a death occurs in this hollow. One victim of this curse was a gambler from Ripley. He was hanged from this tree when he was caught cheating at cards. In the early 1900s a human skeleton was found in the hollow. Yet another body was found in 1922. Then in 1939, there was a fatal car wreck on a nearby road. Local witnesses state that on windy nights in Ghost Hollow they have heard terrible moans and groans coming from this old hanging tree. They state this sound raised the hair on their necks and made their hearts beat faster. One Boy Scout troop passing through the hollow stated all their horses were spooked when they entered Ghost Hollow one windy night. 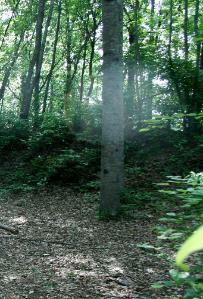 Yet another legend that surrounds the hollow states an innocent man was hung from this tree in 1887. It is said the next day, all of the bark from this tree mysteriously fell off. Since, during full moons witnesses state this tree glows brightly. 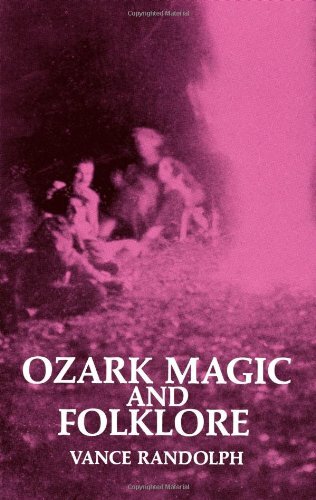 The Ozark people who live in Missouri and Arkansas were descended from pioneers who came West from the Southern Appalachians at the beginning of the 19th century. They mostly came from British stock many of their families had lived in America since colonial days. They had very little contact with the outer world for more than a hundred years. At the turn of the century--1900--they still were not influenced by the progress that influenced the rest of the country. These “hillbillies” as they became known, clung to the outdated customs of their ancestors. Because of this their old songs, sayings and stories are still shared today. Hand in hand with their traditional beliefs came a firm belief in superstitions and ghosts. During pioneer times the old-time hillfolk would invite people to their cabins for the express purpose of swapping supernatural tales. In a society where people didn’t hold with “dancing” and “card playing” ghost stories were a cherished form of entertainment. 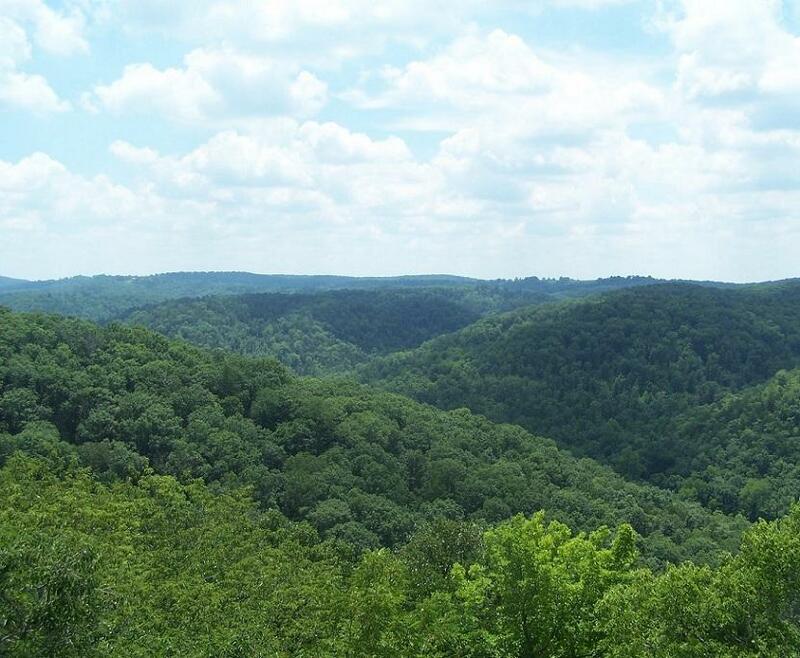 In my post entitled, Kentucky Ghostlore I share one version of a ghost story entitled Dividing Up the Dead often told in the Ozarks. 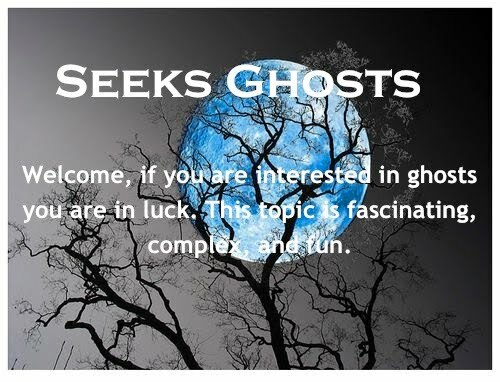 Many of the ghost stories told were not only scary but also humorous. Here is a prime example from 1899. Soon he noticed something white floating in the air behind him. He kicked his horse into a trot but the white thing stayed close. Just before he reached home the young man’s hat flew off, but he was too scared to stop and look for it. Next morning he told his mother that the girl he was courting must be a witch. He announced that he intended to never see her again or have anything to do with her. His sweetheart had no idea what was wrong. She wrote him several letters but never received a reply. A few months later she married and moved to Oklahoma. The young man never saw her again. In the fall of the year she left he was walking through the woods where he had lost his hat. He spotted something sticking up out of the brambles with a roll of cotton attached to it. He spotted a familiar snakeskin hatband. It was his hat. His sweetheart and her mother on the last night he saw her had been carding cotton. The long roll of cotton, streaming from his hat, was the “white thing” that had floated behind as he raced home. The two stories below reflect an ongoing theme I have presented on Seeks Ghosts--which is when graves are disturbed or desecrated bad things can happen. In the early 1980s, Sam and Judith Haney purchased a new home in a Newport subdivision in Houston, Texas. When Sam decided to put a swimming pool in their backyard an elderly black man, Jasper Norton showed up at his door. Norton told him he was about to disturb two graves. He then showed Sam where these graves were located. Norton knew about these graves because years before he had dug them. 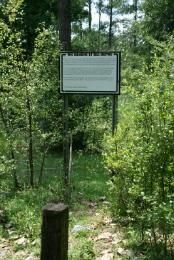 The sub-division where the Heney’s new home was located on was an old 19th century African America slave cemetery called, Black Hope. According to Norton there were at least 60 pauper graves in the area. The last burial had been in 1939. These graves had just been left and covered up by the developers of the sub-division. Sam now curious brought in a backhoe and had the area dug up. Right where Norton had showed him he found two old pine boxes. 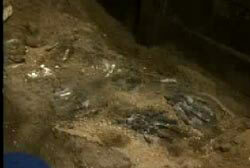 The county coroner officially exhumed the bodies. Two wedding rings were found and it was determined the two deceased were Betty and Charles Thomas. They were slaves that were freed after the Civil War. Judith Haney uncomfortable that their graves had been desecrated insisted they rebury the two former slaves in their backyard--she then planted flowers over them. After the two graves were disturbed strange activity started to happen in the Heney home. A clock in their bedroom was seen eerily glowing and sparking--it was unplugged. Judith heard the distinct sounds of someone enter their home through their sliding glass doors, she heard a voice she thought was Sam's state, "What you doing?" Only to find no one was there. A pair of her favorite shoes disappeared out of her closet. Later she and Sam found them sitting on top of Betty’s grave. They discovered that it was Betty’s birthday that day and they felt that Charles her husband placed them there. The activity became so frightening that the Haney’s wanted to move out of their home--but they could not afford to. They sued the developers for not informing them about the cemetery. They eventually lost this case. They had to declare bankruptcy for they owed $50,000 in court costs. A dozen other neighbors reported lights, televisions and water facets turning on and off. They also heard disembodied voices. Several reported seeing apparitions. Ben and Jean Williams reported that near their flowerbeds sinkholes appeared in the shape of coffins. They would fill them only to have them reappear a few days later. Jean stated that the flowers she planted in this area all died. The couple saw shadows move along the walls in their home accompanied by whispers and a putrid smell. Their granddaughter, Carli lived with them. She felt intense cold spots in the home during the hot summer months. She and her grandmother got the uneasy feeling someone was watching them in the home. The toilets flushed on their own and Carli states as the water would go down she could hear murmuring voices. Ben late one night after returning from work saw two apparitions appear in the kitchen. He watched as they entered the den and then disappeared in the hall leading to the master bedroom. The Williams also took legal action. They were informed by the developers without bodies they had no proof. Frustrated Jean started to dig in the backyard. When she became ill her 29- year old daughter Tina took over. But after a half-hour she became ill.
Tina was rushed to the hospital were she died of a heart attack. Jean believed that her death was a direct result of the paranormal activity they had been experiencing. The Williams lost their entire life savings when they moved. They have since written a book about their encounters entitled, Grave Secrets. Nothing unusual has happened in their old neighborhood since--probably because many of the old graves were eventually moved. 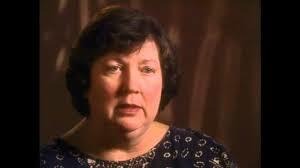 The Haney and William’s stories were shared on Unsolved Mysteries in July of 2002. Dr. Samuel Alexander Mudd was a farmer and practicing physician during the Civil War. He was a Confederate sympathizer and member of the Confederate underground. He lived in Waldorf near Bryantown, Maryland with his wife and children. His farm was 30 miles south of Washington, D.C. He was accused and convicted of being a part of John Wilkes Booth’s conspiracy to assassinate Abraham Lincoln. 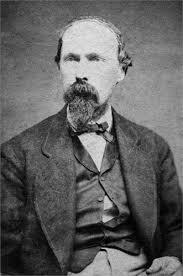 Dr. Mudd met Booth three times in 1864--twice in Bryantown and once in Washington-- before Booth murdered Lincoln. At his trial the doctor stated Booth was just a casual acquaintance. After Booth shot Lincoln he broke his left leg as he leapt from Lincoln’s box to the stage at Ford’s Theatre. Needing a doctor’s assistance, Booth and David Herold showed up at Dr. Mudd’s house at 4:00 a.m.
Dr. Mudd set and splintered Booth’s broken leg. He stated he did not know about the assassination until he went to Bryantown to do an errand for his wife--Booth was still recovering in an upstairs bedroom of his home at the time. 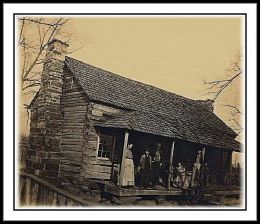 Booth and Herold stayed at the doctor’s home for approximately 12 hours, paid him $12 for his services and then headed into the nearby Zekiah swamp. Shortly after this Dr. Mudd was arrested and charged with conspiracy for harboring Booth and Herold as they escaped. Mudd was tried with 6 other men and 1 woman--Mary Surratt whose story I share here. He was found guilty and sentenced to life imprisonment. He missed the death penalty by 1 vote. 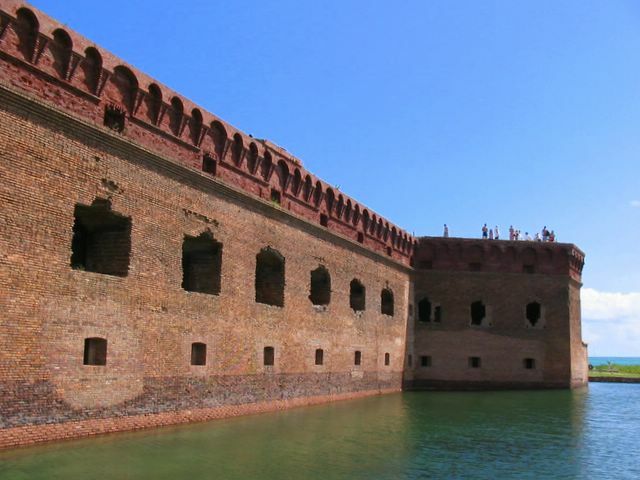 He was imprisoned at Ft. Jefferson in the Dry Tortugas located 70 miles from Key West, Florida. In the summer of 1867, Yellow Fever broke out. The prison physician died. Dr. Mudd took over--he came down with the fever himself but recovered. Because of his efforts all the decommissioned officers and soldiers signed a petition on his behalf. President Andrew Johnson pardoned him in February of 1869. He returned home and continued his medical practice. He died of pneumonia in January of 1883 after walking through the cold and snow to attend to a patient. Dr. Mudd had 9 children and his descendants for many years worked tirelessly to clear his name. Historians today still debate whether he was innocence or guilty. One compelling argument that he was guilty can be read here. The results of an impressive “mock trial” that found him innocent can be read in the New York Times here. Today the Mudd farmhouse is run as a private museum. Several witnesses claim the house is haunted. One author, Mike Ricksecker who wrote about this haunting in his book Haunted Maryland captured some interesting photos. 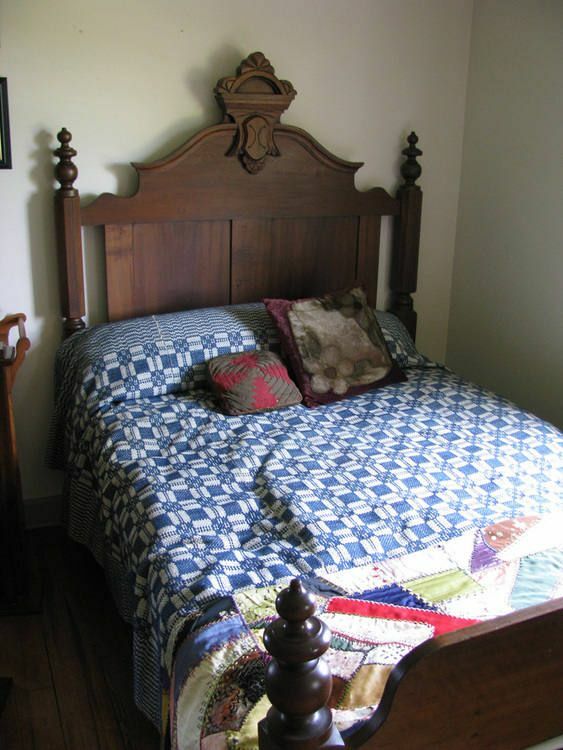 Danny Fluhart president of the Dr. Samuel A. Mudd Society told Ricksecker that no one is supposed to touch the bed that Booth stayed in on the 2nd floor. Despite this rule the staff is often frustrated to find they have to re-straighten it because the bed is mussed when they return to the museum in the morning. A distinct human-shaped impression is always discovered. Ricksecker in the home with Fluhart one Monday, when the museum was closed, discovered the bed in this state and was able to take pictures. The following video has several staff and a Civil War reenactor talking about their encounters with a variety of paranormal activity at the farm. This video begins and ends with one group’s EVP sessions at this old farmhouse. The belief in this ghost story that takes place in the Wiregrass area of Alabama near the town of Newton has endured for 150 years. No one has ever seen the ghost of William “Bill” Sketoe but the locals are firmly convinced he haunts the area where he was hanged. Bill Sketoe was a Methodist minister whose family was originally from Spain. He grew up in the town of Newton. In 1864 he was fighting in his 3rd year for the Confederacy when he received word his wife Sarah who was home taking care of their 8 children had taken ill. He hired a “substitute” to take his place at the front so he could return home and tend to his wife. After he returned it is said Sarah greatly improved. As Sketoe’s visit turned from weeks into months it is said the Captain of the Dale County Home Guard -- a man by the name of Joseph Breare became convinced Sketoe was a deserter. 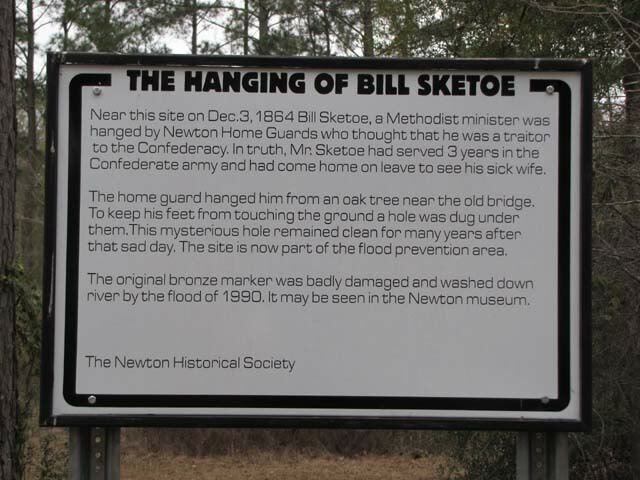 He and 5 of his men ambushed Sketoe on December 3, 1864 in an isolated area outside Newton near the old Choctawhatchee River bridge. bridge can be seen in center front of photo. They beat him up--made him crawl through the sand-- and then placed him in a buggy with a noose around his neck that was attached to the limb of a Post Oak tree. Breare asked if he had any last words and Sketoe asked if he could pray. But when he began to pray for the men in front of him the captain became infuriated and whipped the buggy’s horse. What these militiamen did not take into account was Sketoe was a tall man who was large. The branch of the tree bent under his weight and he was able to touch the ground with his toes. George Echols, one of Breare’s men home because he was wounded, took his crutch and dug a hole beneath Sketoe’s feet. Sketoe then strangled and the deed was done. Afterwards the hole that Echol’s dug remained. It was dug out of the soft sand near the riverbank but it didn’t fill in. It kept its original dimensions--30 inches wide and 8 inches deep. Wouldn’t a gust of wind fill it in? The locals began to wonder. For the next 125 years, people tried to fill this hole in. Dirt, trash and sand were placed in it but when people returned, sometimes within the hour, the hole was empty. Two men while a new highway bridge was being built even camped over the spot. They filled it with dirt, one even placed his bedroll over it only to find the next morning the hole was empty. It always kept its original dimensions--30 inches wide, 8 inches deep. So who or what was keeping this hole cleared out? The locals immediately came to believe it was the ghost of Bill Sketoe. They felt he haunted the area where he died because he was hanged unjustly. For years, people came to see this hole and paranormal groups investigated the area. The citizens of Newton erected a monument to Bill Sketoe by the hole. Local historians reported that the 6 men of the Home Guard responsible for the hanging of Sketoe all met mysterious deaths. Captain Breare while riding his horse on a clear day struck the limb of a Post Oak tree--the same kind that Sketoe was hanged from--and fell off his horse and died. Another man was struck by lightning and died. George Echols who had dug the hole, died in the swamp from an unknown cause. Another man while riding his mule was thrown off and died. Witnesses to this event reported the mule ran off as if terrified by something. The last two men also died of mysterious causes. People began to believe Sketoe’s ghost played a hand in these deaths. Most of the legend shared above was first published in Kathryn Tucker Windham's book, 13 Alabama Ghosts and Jeffrey. I share another story from her book here. The legend of why Bill Sketoe was hanged has several gaping holes. Historian David Williams in his book entitled, Rich Man’s War: Castle, Class, and Confederate Defeat in the Lower Chattahoochee Valley, presents another view. 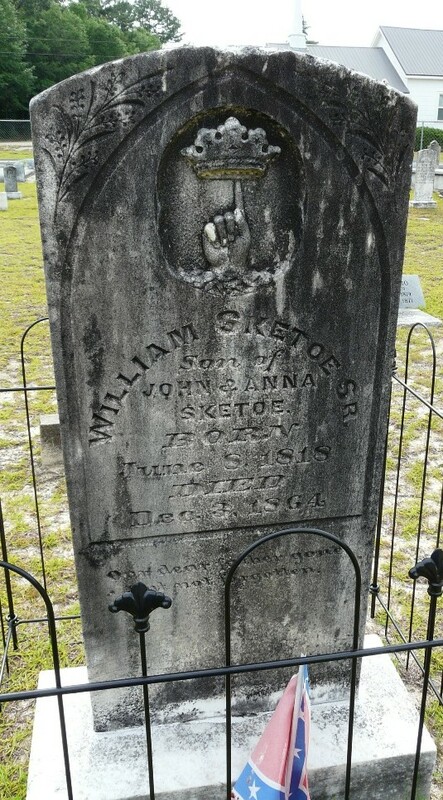 First, there is no record that William Sketoe ever served in any Confederate or state military unit. 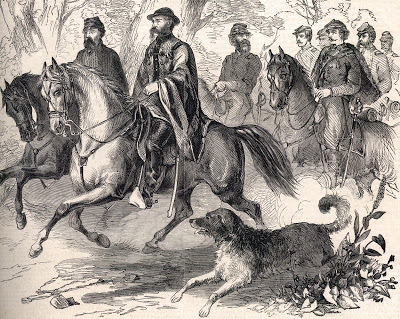 The legends’ claim that he arranged a substitute to take his place at the front is highly unlikely because the Confederates repealed the Substitution Laws in early 1864. Williams’s book indicates the reason for Sketoe’s hanging is more complex. During the Civil War Dale County was a lawless place. 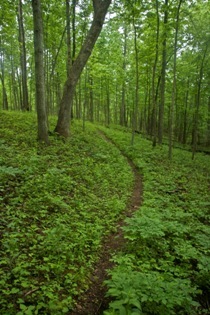 The surrounding forests harbored numerous deserters and Unionists. They emerged frequently to terrorize the locals. The residents in the area formed Home Guards to defend themselves. Joseph Breare, a Newton lawyer, had served in the Alabama infantry and was captured at Gettysburg. He later formed the Newton Home Guard known locally as the Buttermilk Rangers. He and his men resolved to hunt down and punish all deserters. Breare became convinced that Sketoe was helping John Ward, the leader of a local band of deserters and pro-Union guerillas. connection with Ward, Breare hanged him anyway. It seems Sketoe’s life was taken unjustly. So the reason for the haunting stands firm. In 1990, flooding covered the area where Sketoe was hanged with tons of rocks. The hole is no longer visible. 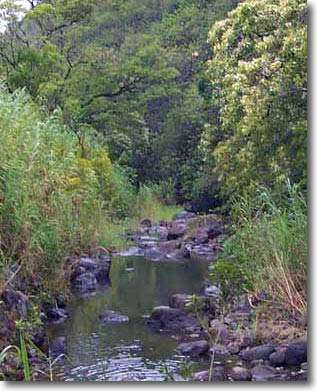 The Kipapa Gulch is located in central Oahu in Hawaii. It is haunted by the spirits of Hawaiian warriors that lost their lives in a bitter battle that was fought here in the 15th century. Today the bridge that crosses this gulch has experienced more than its fair share of freakish head-on car collisions. Some blame these accidents on the "evil" spirits that linger from this battle. The people of Oahu were starving. A rebellious crowd killed their chief. They chose another leader named Mailikukahi. He was born in Kukaniloko, a place highly regarded because it was hallowed ground. Mailikukahi made Waikiki his permanent residence. He became the most beloved King. His wise, firm and judicious government has been compared to England’s King Arthur. He opened schools to educate his people, a privilege once restricted to those of higher status. 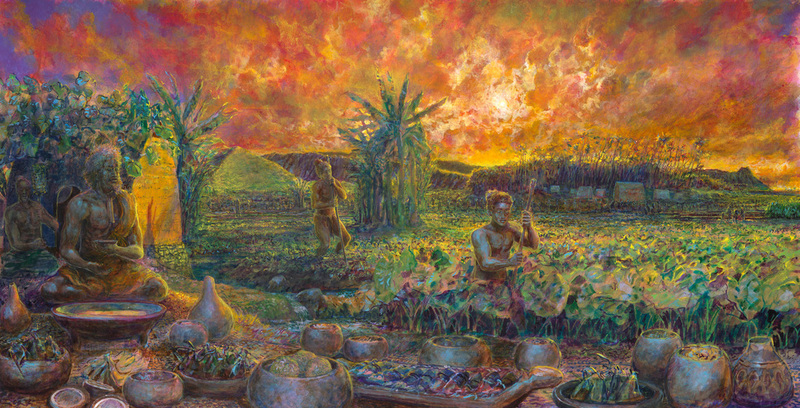 Mailikukahi abolished human sacrifice, a religious leader he instead built Heiaus, which are temples, where his people could take refuge and be healed when they were sick. He encouraged his people to cultivate the land and raise animals so they could feed themselves. He instated a code of laws that demanded the islands’ leaders stop stealing from the people or death would be the penalty. He didn’t demand an auhau or tax from the people for they willingly brought the fruit of their labors to him. The people of Oahu now prospered. Word of Mailikukahi’s accomplishments spread throughout the Hawaiian Islands. But jealousy reared its ugly head. The peace and prosperity of Mailikukahi’s government intimidated the chiefs of Maui and the big island of Hawaii. They were worried about his power and influence--they were jealous of his successes, but even more so they felt his changes threatened the power they held over their own people. In 1410, they declared war on Mailikukahi’s government. These two island chiefs invaded Oahu, landing in Waikiki--they then marched inland. 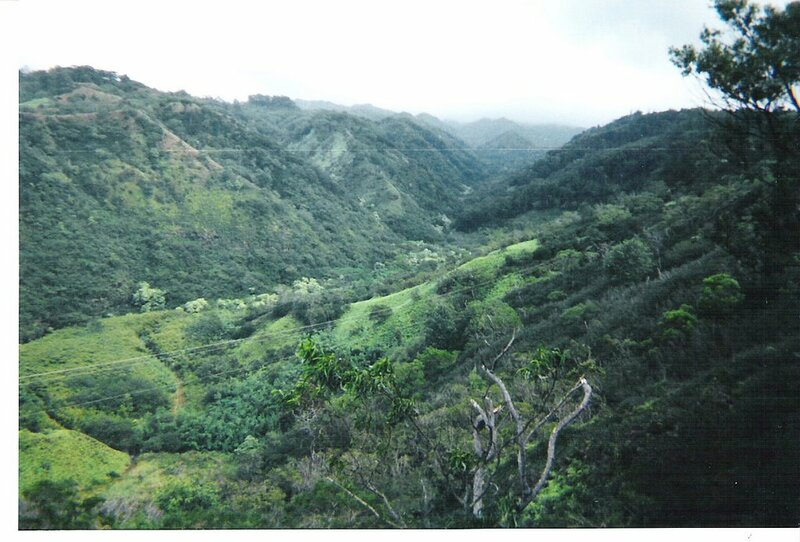 They met Mailikukahi and his men at Kipapa Gulch, where a gruesome battle ensued. 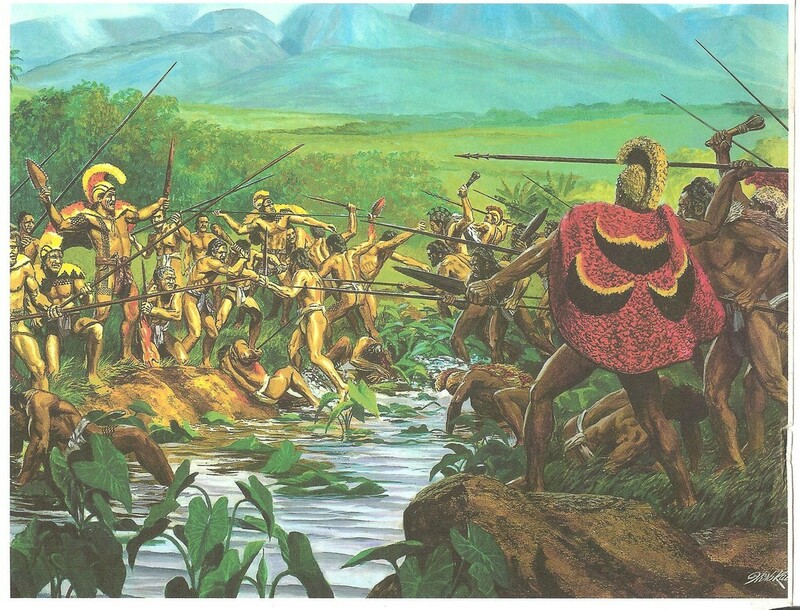 Mailikukahi and his warriors were able to prevail over these invaders. It is said the bloodshed of the fallen literally flooded this gulch. The corpses of thousands of warriors that invaded Ouha lay dead. 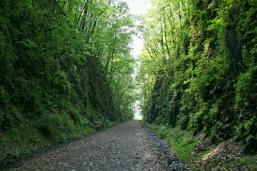 The name Kipapa was given to the area--meaning “paved way’’-- or paved with the dead. The two leaders skulls were taken and placed on poles as a reminder to others of their fate if they chose to invade Oahu. The Hawaiian people believe this bloody battle left behind many torn or unsettled spirits. They believe these fallen warriors haunt the Kipapa Gulch Bridge and the surrounding area. 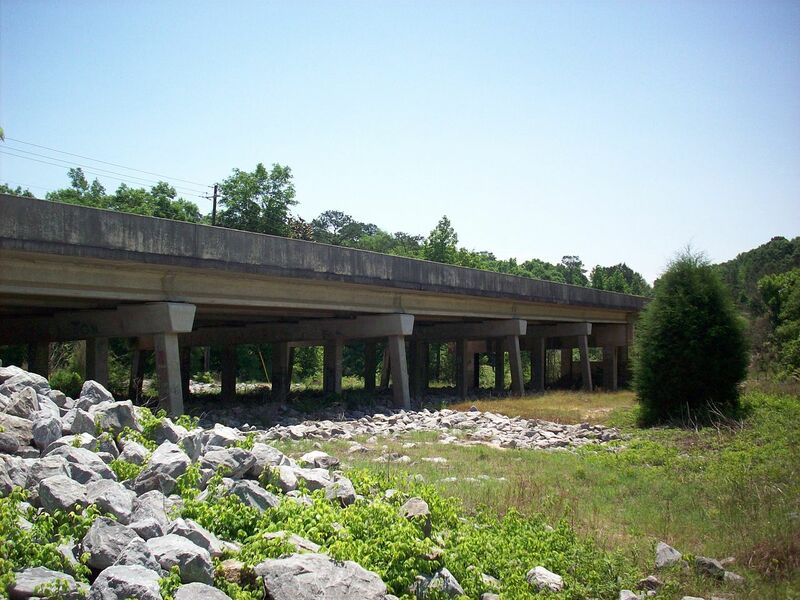 The many head-on car accidents that happen on this bridge are attributed to them. So is this just a legend or do these spirits haunt this area? Residents and people who work in the area have reported over the years seeing torches floating through the air--following a path down the mountain to the ocean through this gulch. Another spirit said to haunt this bridge is a White Lady. She appears on this bridge at night dressed all in white. It is said that as the driver passes by and looks for this lady in their rearview mirror, she is gone. This recent story is similar to two others I wrote about here and here. 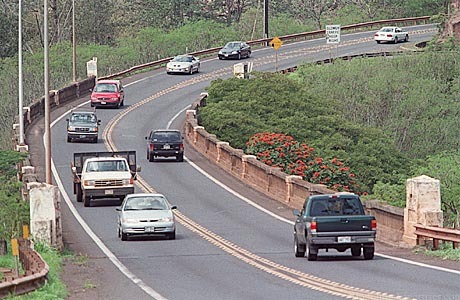 The Kipapa Gulch Bridge is located between Mililani Town and Waipio. Savannah Georgia’s largest cemetery is Colonial Park. It has over 14,000 documented graves. One of these graves stands out from all the rest because it is connected to the cities’ oddest ghost story. Rene was born in 1777. He grew to be well over 7 feet tall. In some accounts he is described as covered in a thick mat of animal-like hair. As a young man Rene quickly gained a reputation as “the terror” of Savannah. Residents of the neighborhood in which he and his family lived proclaimed they had had enough when he started to kill the neighborhood pets. His family agreed to build an 8-foot brick wall with shards of broken glass embedded in mortar at the top in an effort to confine Rene. Guards were even posted around the property at night but this did not keep Rene from escaping. Not long after this wall was completed two local girls went missing. Their mutilated bodies were found near the Rondolier property. It was discovered later that Rene was able to escape via a maze of dark, damp catacombs that lay beneath his home. His family and many locals knew that he used these tunnels before the wall was even built for he often hid from people in these catacombs--residents of the area even referred to them as Rene’s Playground. So the families’ precautions were wasted. 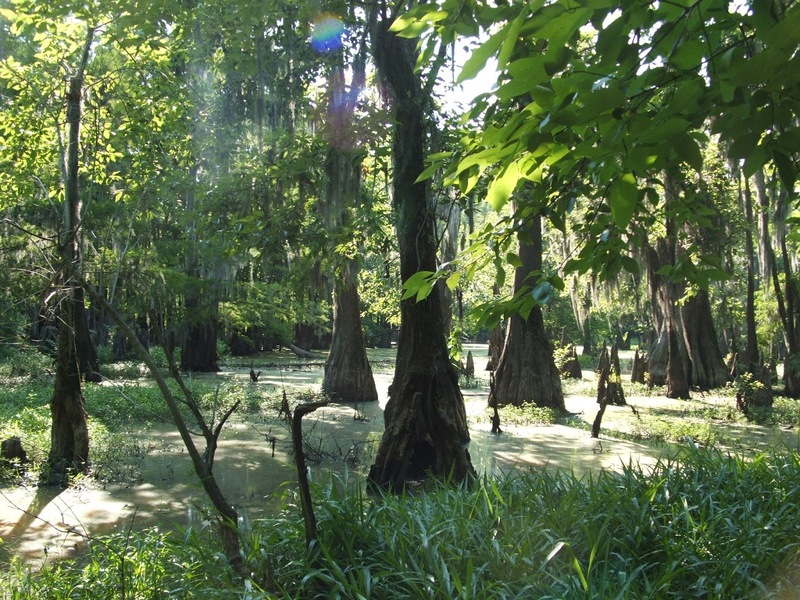 After the discovery of the two-murdered girl’s, a mob took Rene into a nearby swamp and lynched him. His family collected his body afterwards and buried him on their land. This legend takes an even stranger twist after this. Following the hanging two other children and a woman were found murdered on separate days in what is today the Colonial Park Cemetery. Since no other killer was found rumors started that the ghost of Rene was responsible for these deaths. In the 1900s, a builder working on the grounds of the former Rondolier home found Rene’s grave. He opened it but no remains were found inside. 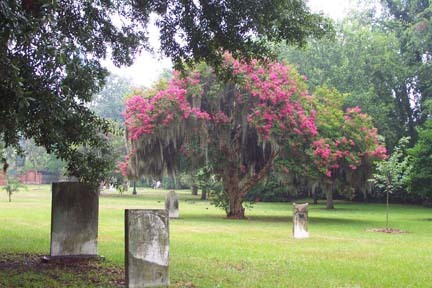 Where the Rondolier home once stood is now a part of the Colonial Park Cemetery. People to this day believe that Rene haunts this part of the cemetery as well as the catacombs that lay beneath. Other reports state that his large dark shadow can still be seen swinging from a tree in the nearby swamp where he was hanged. 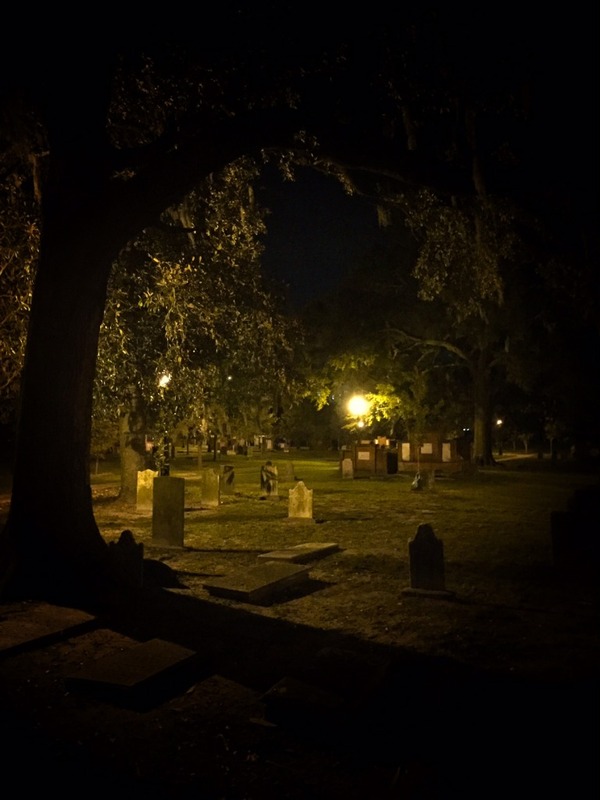 Walking ghost tours are given at night through Colonial Park Cemetery.